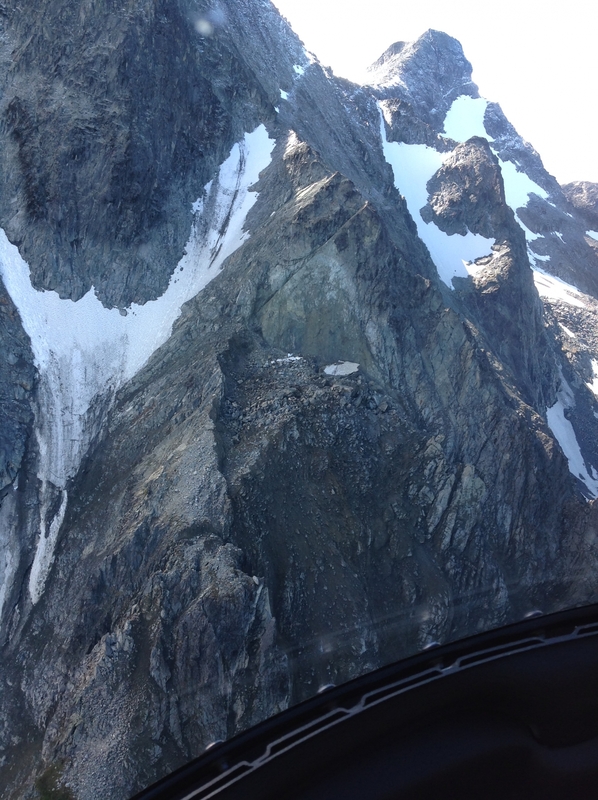 At noon on Thursday, September 8, 2016, representatives of the SLRD accompanied an engineering officer from the Ministry of Land, Forests and Natural Resource Operations (FLNRO), on a helicopter flight to inspect and assess the situation on Mt Currie. 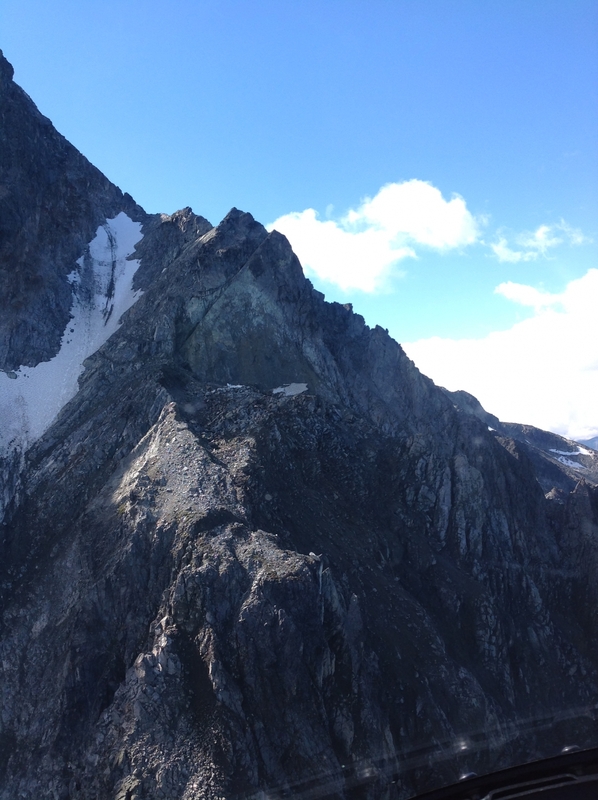 Officials wanted a closer view of the peak, to ascertain the source of the increased rockslide activity that has been observed in the Valley throughout the summer, particularly over the previous Labour Day long weekend. Fresh rock scar, scouring and debris paths suggest the most recent activity was caused by a sizable triangular chunk of rock that triggered rock fall down the mountain’s front face. Ministry of Land, Forests and Natural Resource Operations (FLNRO) representatives advised that this is a natural process and likely to continue for a while, given the parent material. 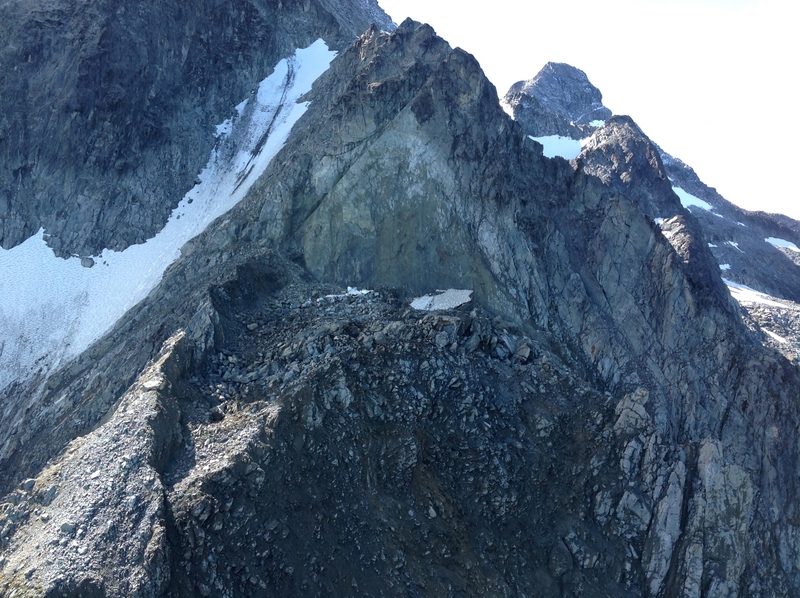 For rockslide activity on Mt Currie to be sizable enough to threaten public security, and trigger an activation of the local Emergency Operations Centre, it would require the likelihood of the Green River being blocked by debris. 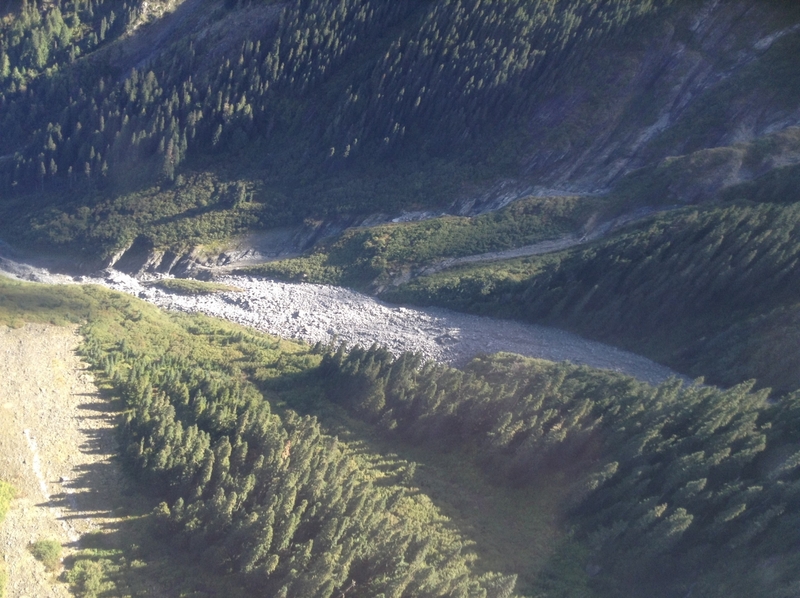 The volume of debris deposited did not reach anywhere close to the Green River. 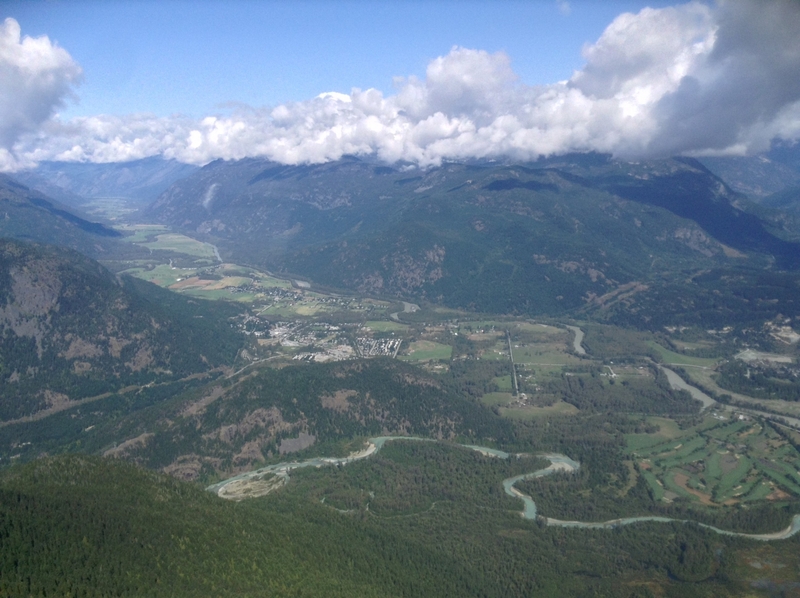 The slide activity that has been taking place recently, while spectacular and loud from the Pemberton Village and Valley, is nothing close to that scale. In the meantime, officials continue to monitor the mountain. The SLRD has created a photo album at facebook.com. Residents are invited to post their dated photo and video of activity on the mountain to the album.